Quick work by road crews sees the A1 to Paris re-open within 36 hours of a major crash. Also, the ‘busiest day in the Alps’ turns out to be not that busy after all. 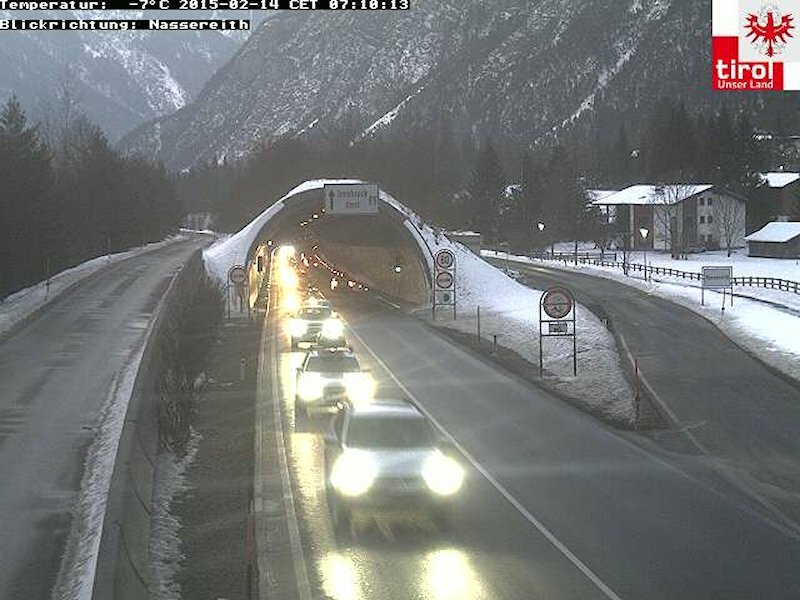 There is light at the end of the Karavanke Tunnel, but also a series of overnight closures. Presumably to her everlasting gratitude, Veronica Guerin will not be immortalised in a flyover. A C-ITS study gets the go-ahead in France. Was expected to remained closed for the weekend after fatal crash. The A1 motorway towards Paris at Compiegne will re-open temporarily today following a major accident last night. Three trucks and a coach were involved in the incident at around 18:30 on the Roberval Viaduct south of Compiegne. Forty British school children, reportedly on their way to Disneyland Paris, escaped with at worst minor injuries but a truck driver and a passenger in another truck both died. None of the victims, or the vehicles involved, have been identified. More than 60 firemen tackled the ensuing blaze. The A1 was shut in both directions for several hours, finally re-opening in the direction of Lille in the early hours. The Paris-bound carriageway has been completely closed since but two lanes will re-open at 13:00 local time according to a statement from the L’Oise prefecture (@Prefet60). It will close again between J8-9 at 21:00 this evening until 03:00 tomorrow morning. A diversion will be in place. Drivers heading to Paris from the Channel Ports can avoid the area on the A16 southbound towards Boulogne. Update 15 February: the motorway opened as planned and has been functioning normally since. roundup: AUSTRIA-SLOVENIA. Maintenance on the Karavanke Tunnel between Villach and Ljubljana is entering the final phase. After closing due to an electrical fire earlier this week, the tunnel resumes 30min alternate traffic but only until 30 March when the long-running refurb should complete. However it will shut overnight 20:00-05:00 twelve times between now and then, including next Tuesday-Thursday. See the full list at OAMTC. FRANCE. €6.5M of EU cash goes towards a so-called Cooperative Intelligent Transport Systems (C-ITS) study on 2000km of roads around Ile de France, Brittany, Bordeaux, Isere and the A4 Paris-Strasbourg. Three thousand vehicles will have C-ITS equipment installed to enable communication between them and the infrastructure about obstacles, works or accidents. Due to complete by December. IRELAND. The family of murdered journalist Veronica Guerin has asked that a plan to name the new Newlands Cross flyover in her honour be withdrawn, says RTE, not because it would be a lame memorial but because of mealy-mouthed opposition from Sinn Fein councillors who wouldn’t want to single out any one victim of gangland violence. Crime reporter Guerin was shot while waiting at traffic lights on the N7 Naas dual carriageway at Newlands Cross outside Dublin in June 1996.